university to its overall ranking of around 160.
invigorating teaching and learning,” says Professor Ensor. art, drama, creative writing, and film and media studies. (held by Professor Abdulkader Tayob). the social sciences, and the creative and performing arts. collection, curation, and digitising of unique archives. Human and Circuits of Consumption. 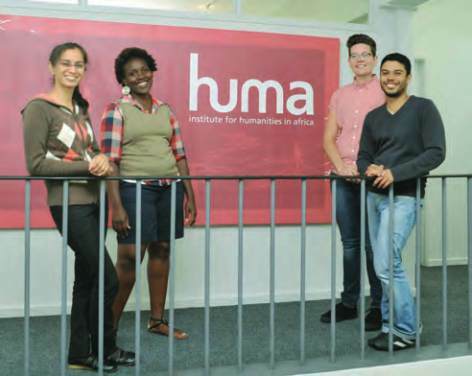 and Justin Brown are HUMA’s first doctoral researchers.